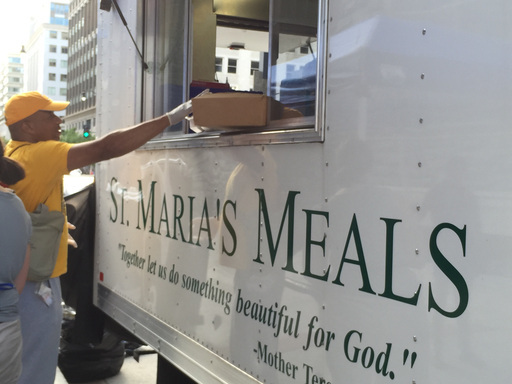 The John Carroll Society partners with Catholic Charities of the Archdiocese of Washington, D.C. to serve hot meals to homeless men and women through the dinner van program. Members of the John Carroll Society volunteer certain evenings to serve food and beverages to about two hundred of the hungry in downtown D.C. outside of Catholic Charities. 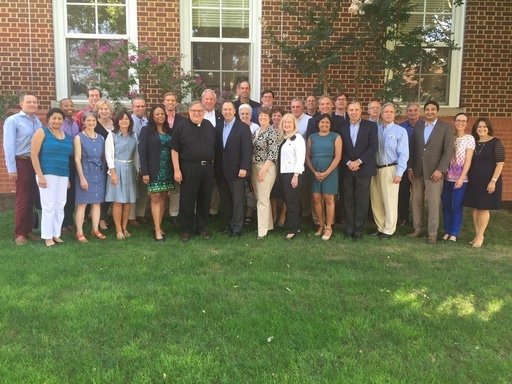 The John Carroll Society is an organization of Catholic professionals united in their desire for an ever deepening and enriching knowledge of their Faith and in service to the Archbishop of Washington. This year, the Society's Chaplain, Msgr. 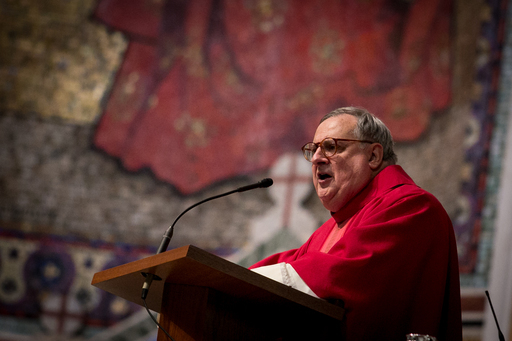 Peter J. Vaghi, delivered the homily during the Red Mass. To read the homily, please click here. To read Msgr. 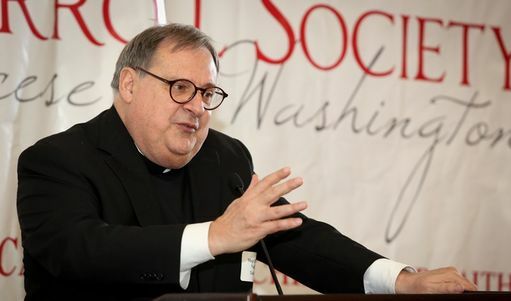 Vaghi's remarks from the 2018 Red Mass Brunch, please click here. Upcoming opportunities to volunteer are posted on our calendar. Come join us! Are you interested in joining the John Carroll Society? You can learn more about the Society on this website. If you have any questions, contact the Society at 301-654-4399 or johncarrollsociety1951@gmail.com. When you are ready, fill out our Membership Application. Our Chaplain, Monsignor Vaghi, will offer his thought-provoking spiritual reflections during his First and Third Thursday talks. The theme this year, inspired by the writings of St. Francis de Sales, is "The Devout Life: A Snapshot".